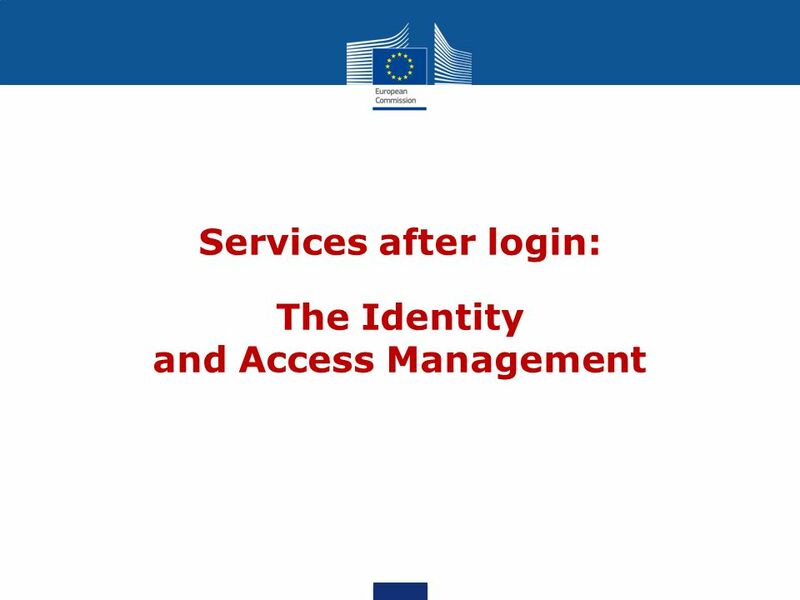 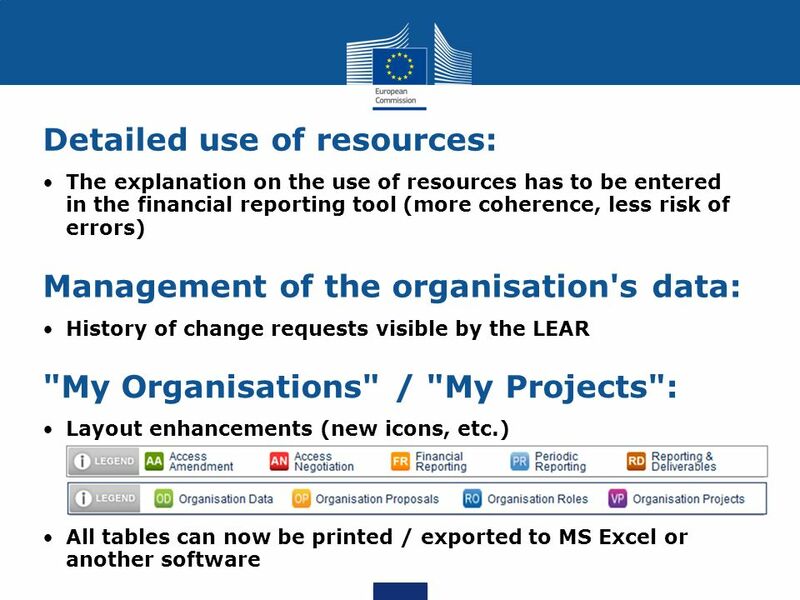 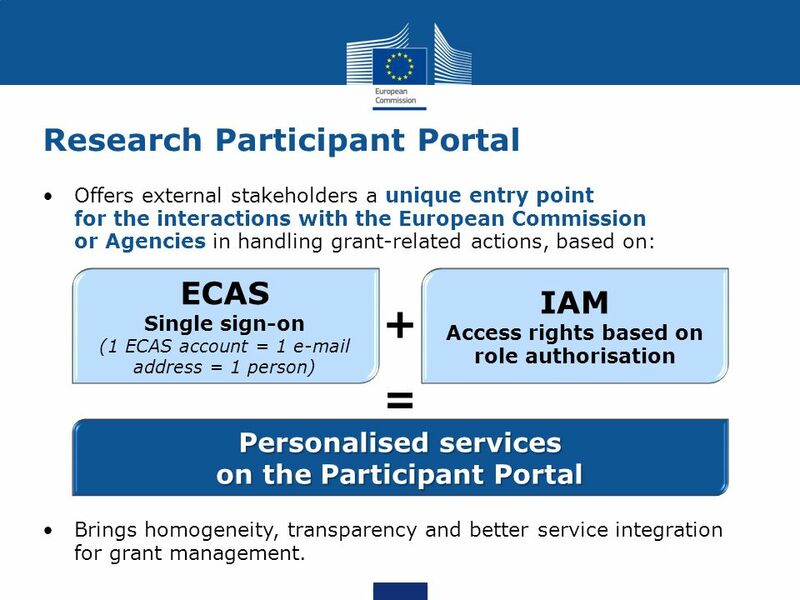 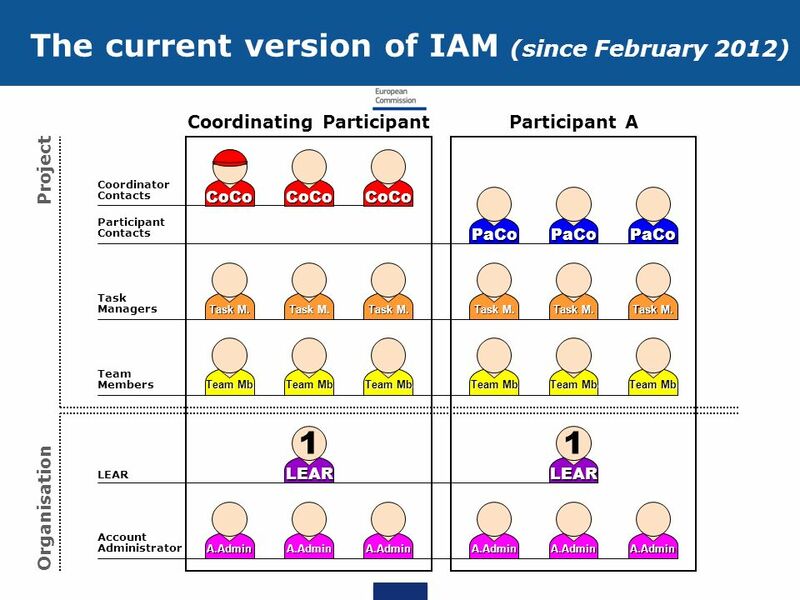 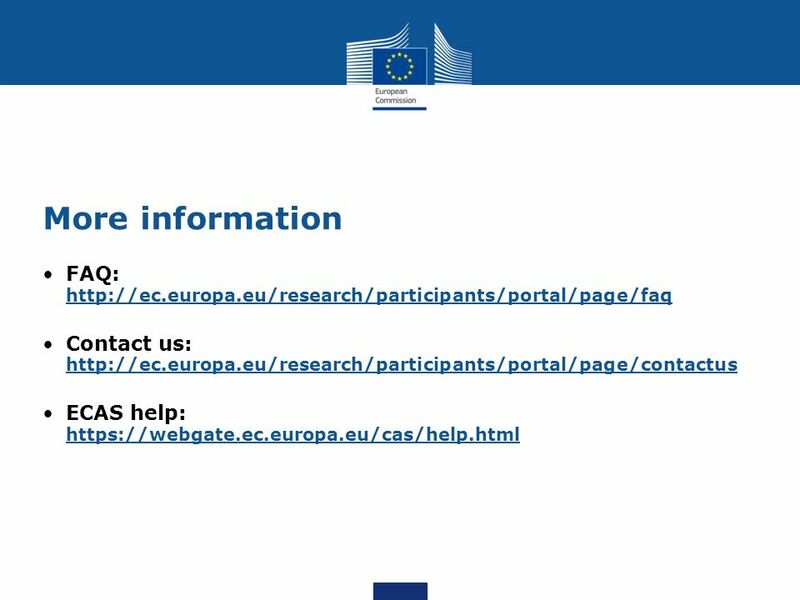 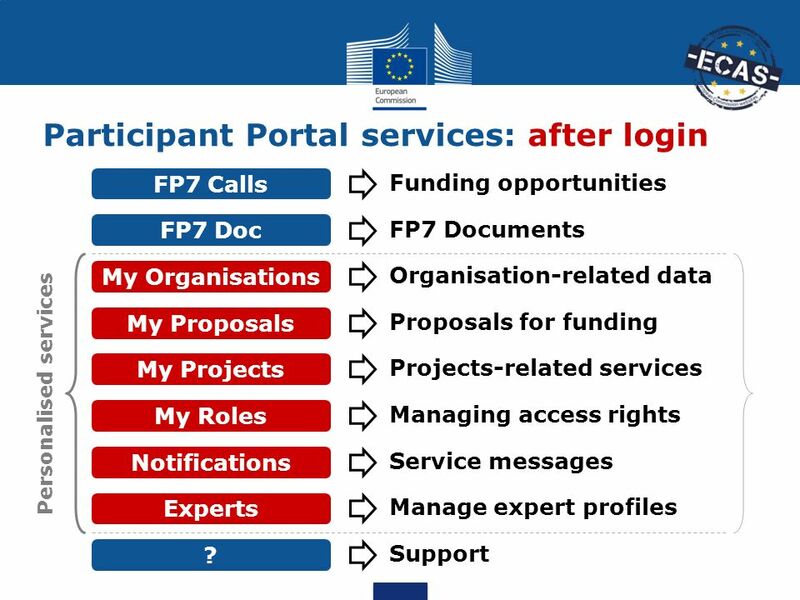 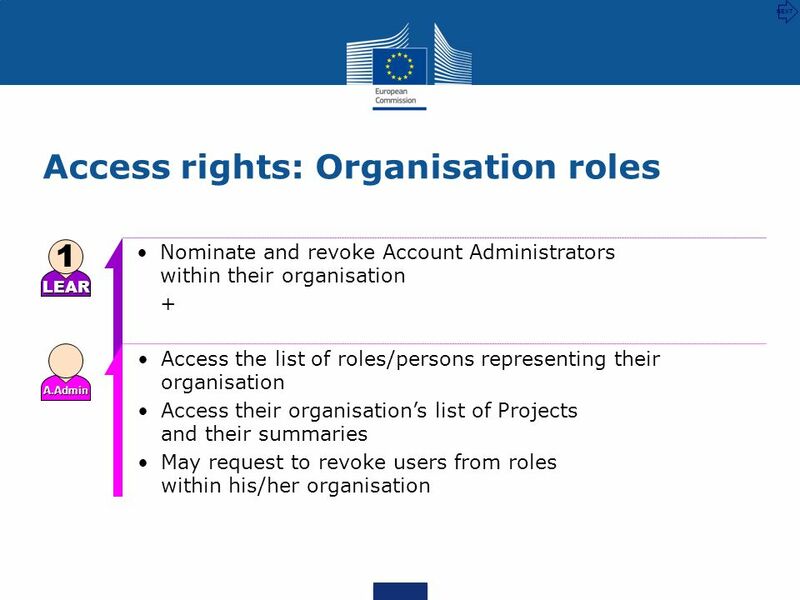 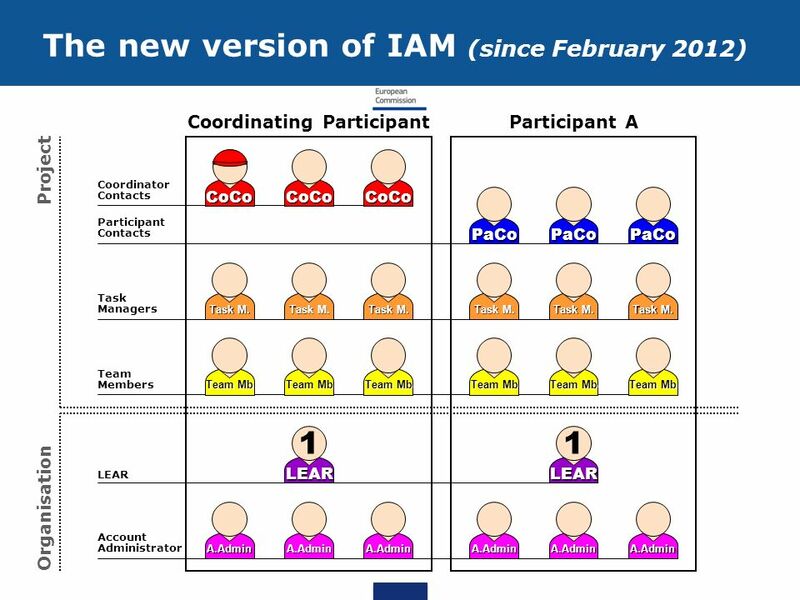 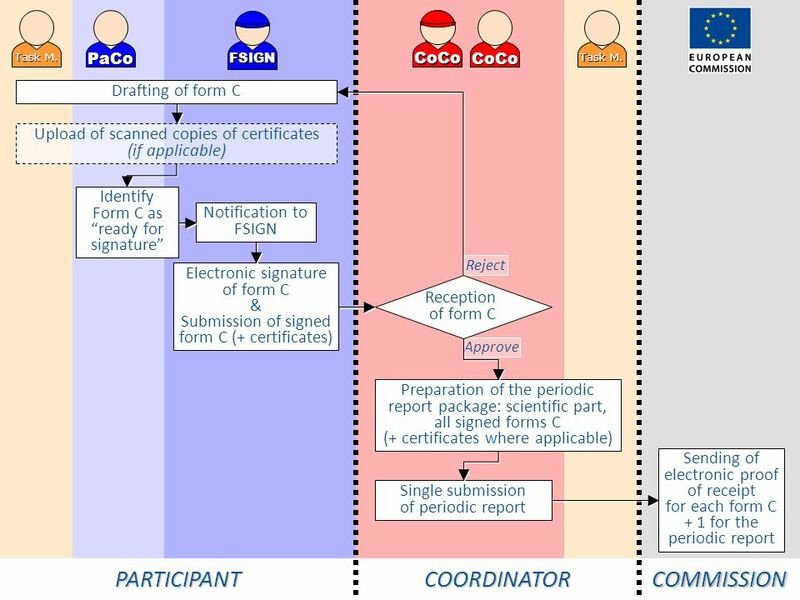 Offers external stakeholders a unique entry point for the interactions with the European Commission or Agencies in handling grant-related actions, based on: ECAS Single sign-on (1 ECAS account = 1 address = 1 person) IAM Access rights based on role authorisation + = Personalised services on the Participant Portal Brings homogeneity, transparency and better service integration for grant management. 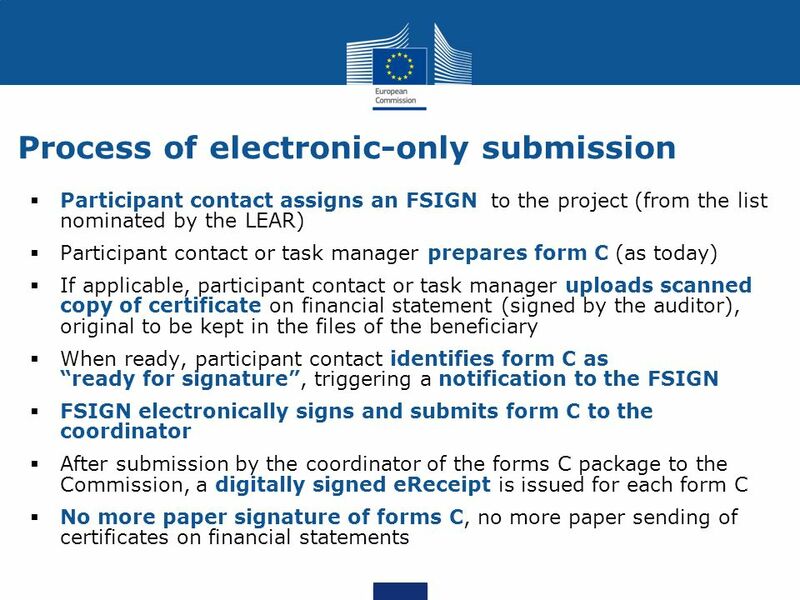 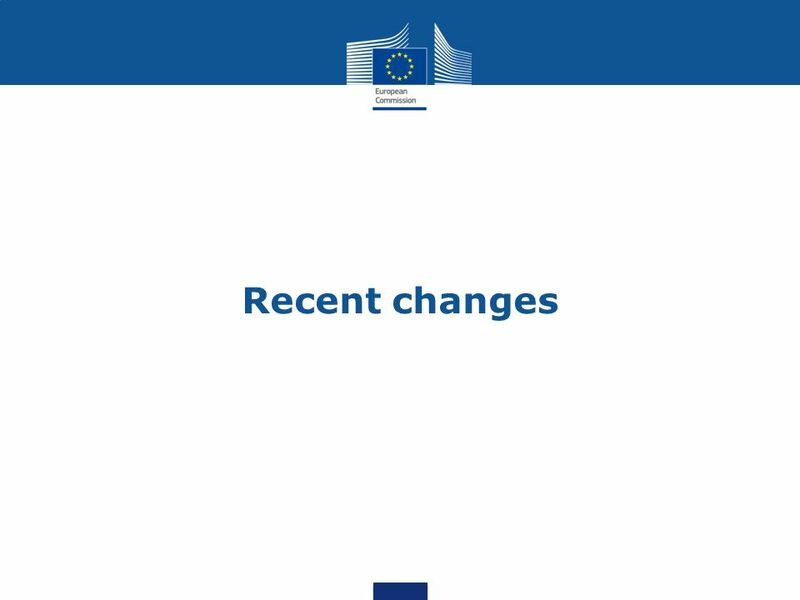 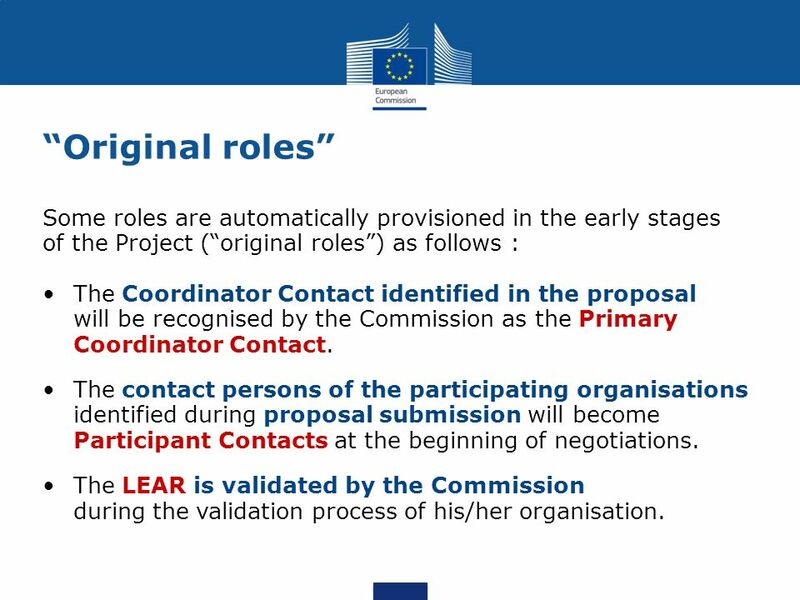 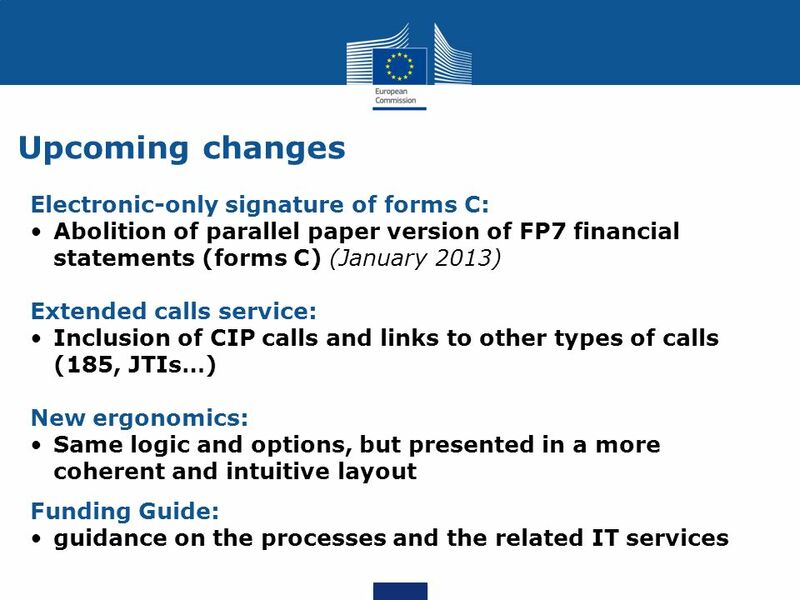 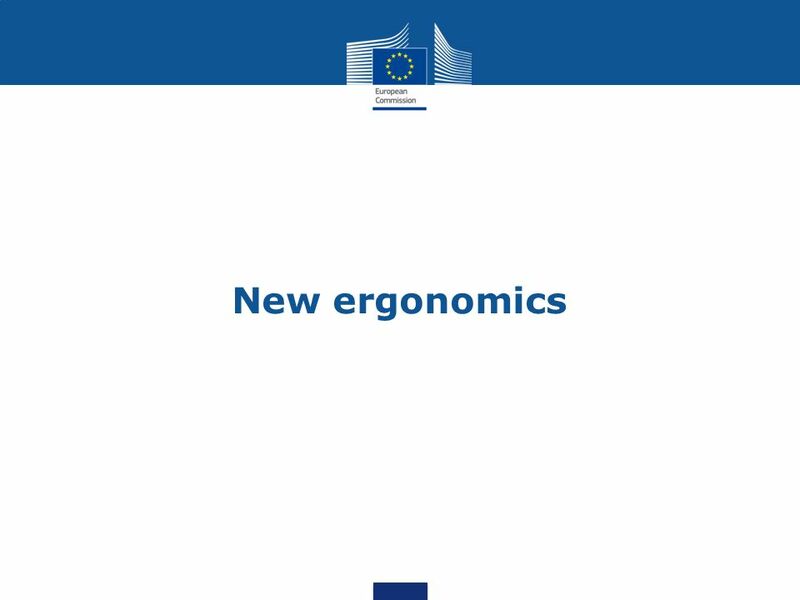 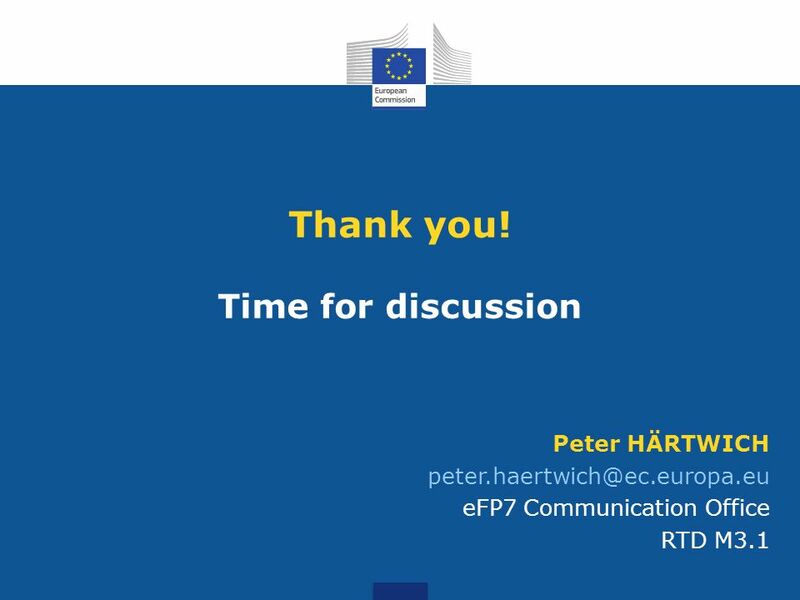 27 “Original roles” Some roles are automatically provisioned in the early stages of the Project (“original roles”) as follows : The Coordinator Contact identified in the proposal will be recognised by the Commission as the Primary Coordinator Contact. 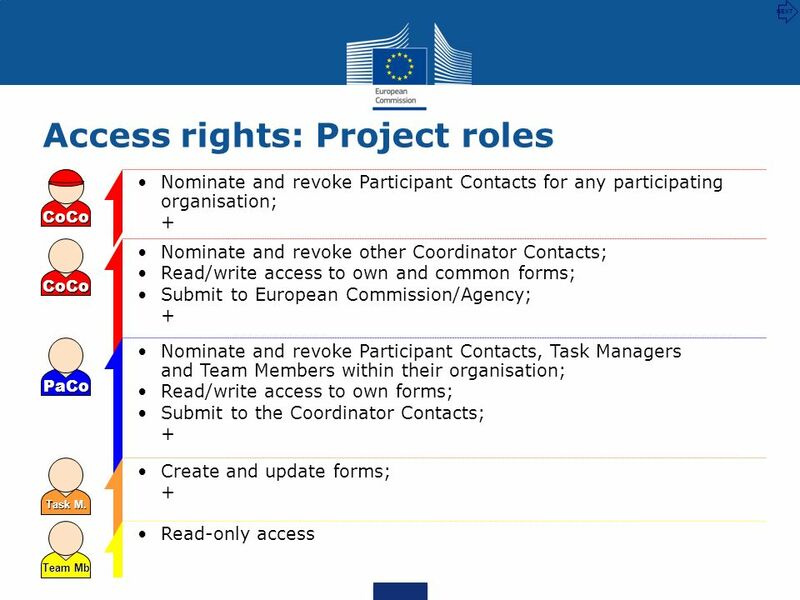 The contact persons of the participating organisations identified during proposal submission will become Participant Contacts at the beginning of negotiations. 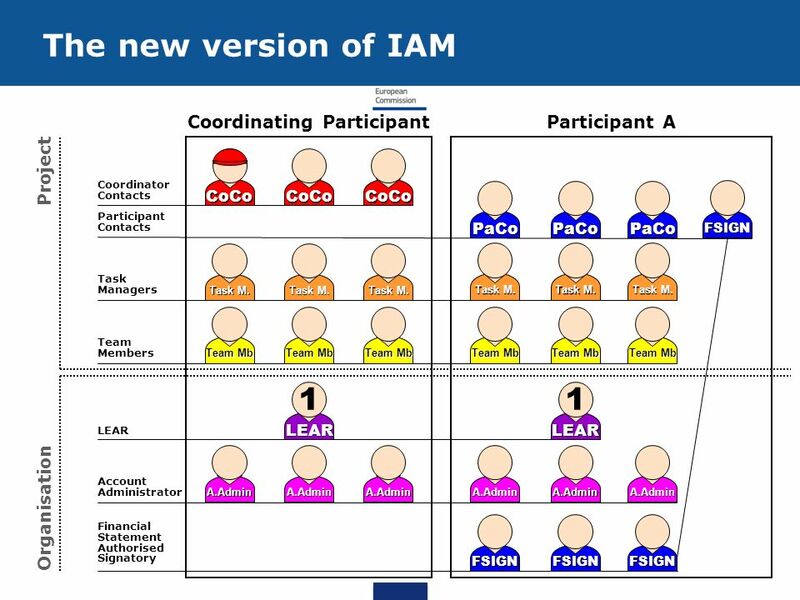 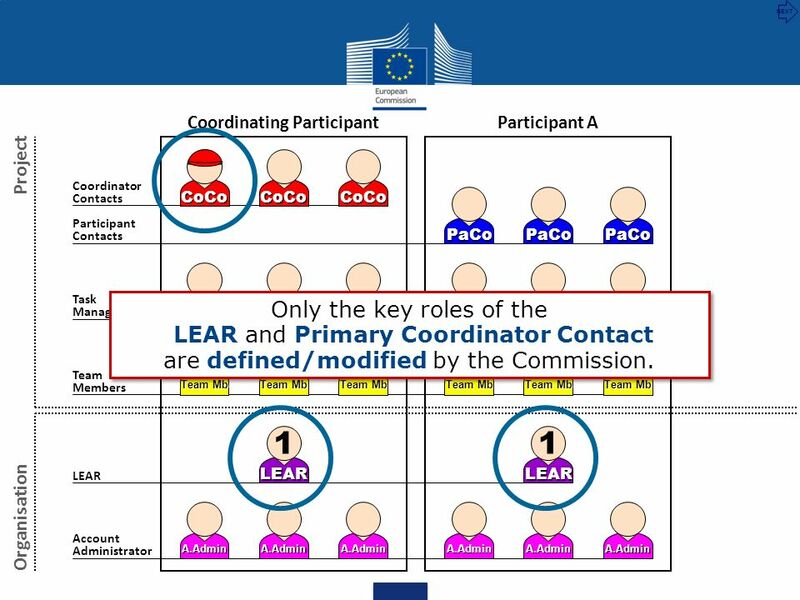 The LEAR is validated by the Commission during the validation process of his/her organisation. 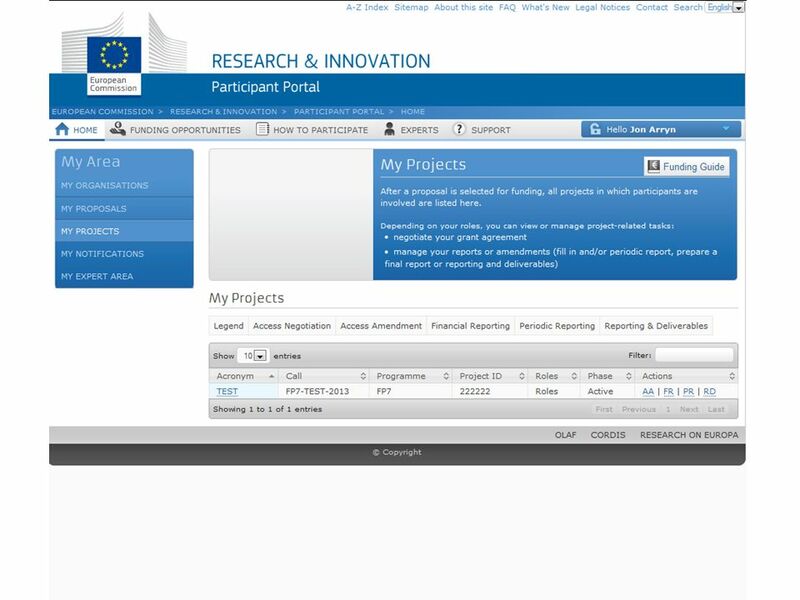 1 16/02/2014 The Negotiation Process: Negotiation timeline Participant Portal NEF – Negotiation facility Anita Kucharska Administration and Finance Unit. 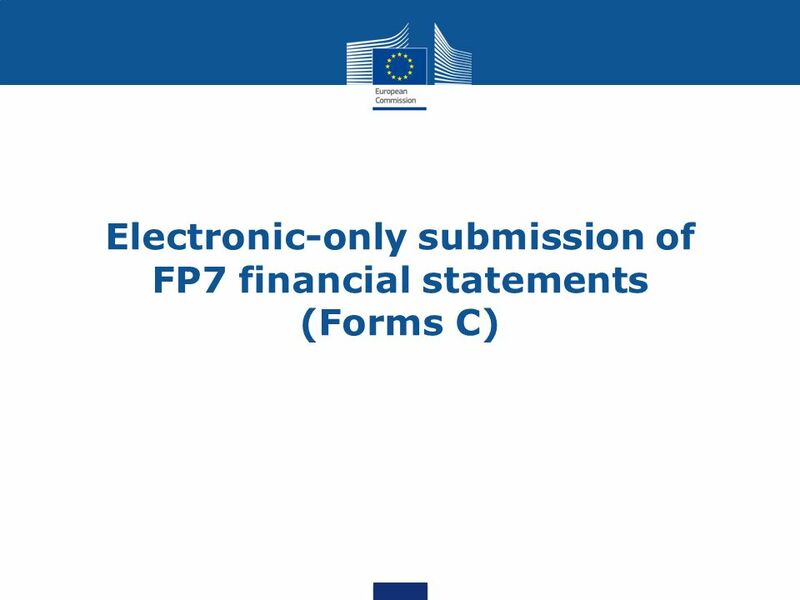 FP6/FP-7 IT System 1 FORCE: WEB BASED EDITOR OF FORMS C FOR FP-6 AND FP-7. 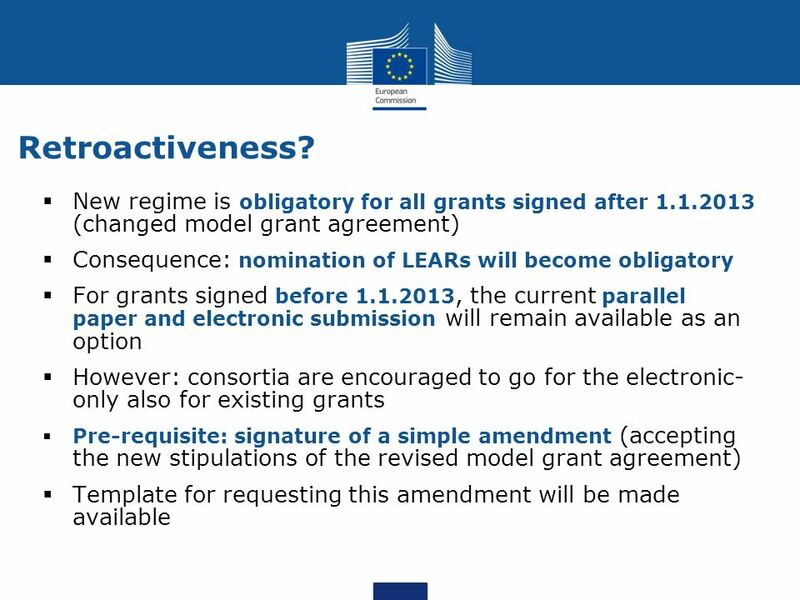 E-only grant management Basics. 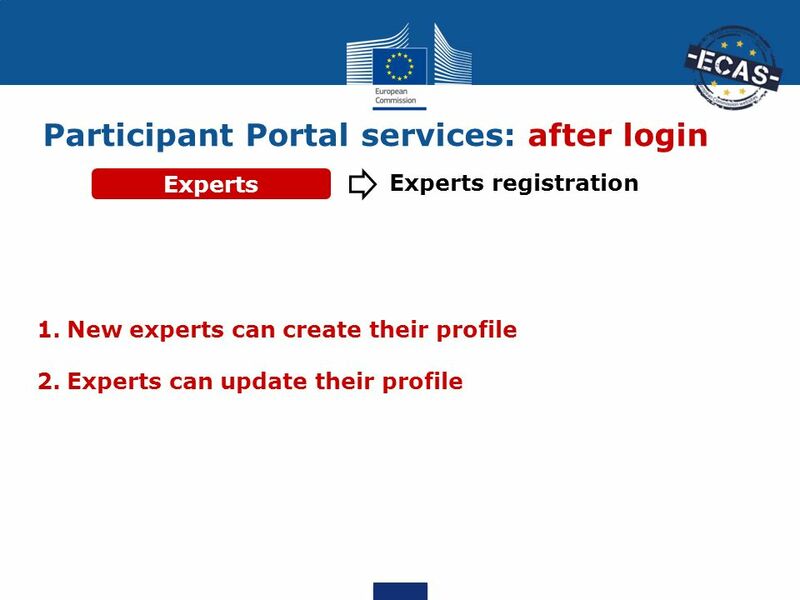 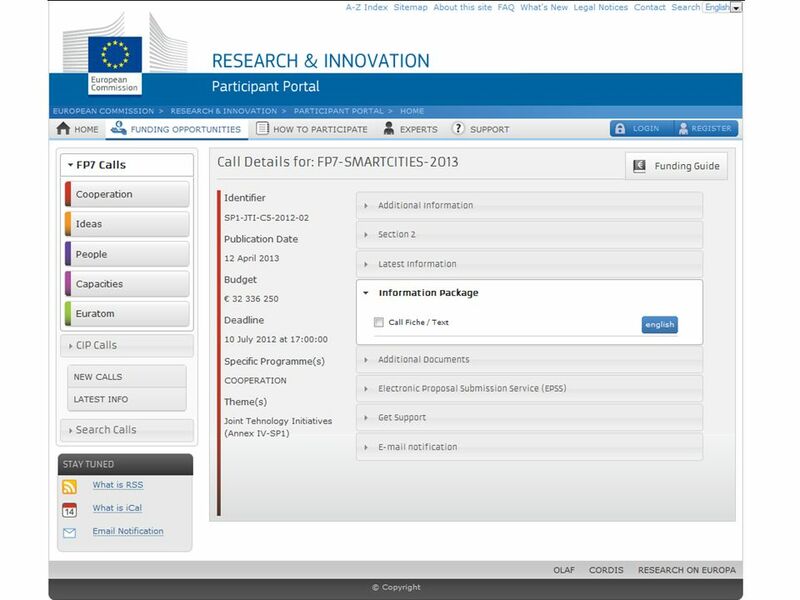 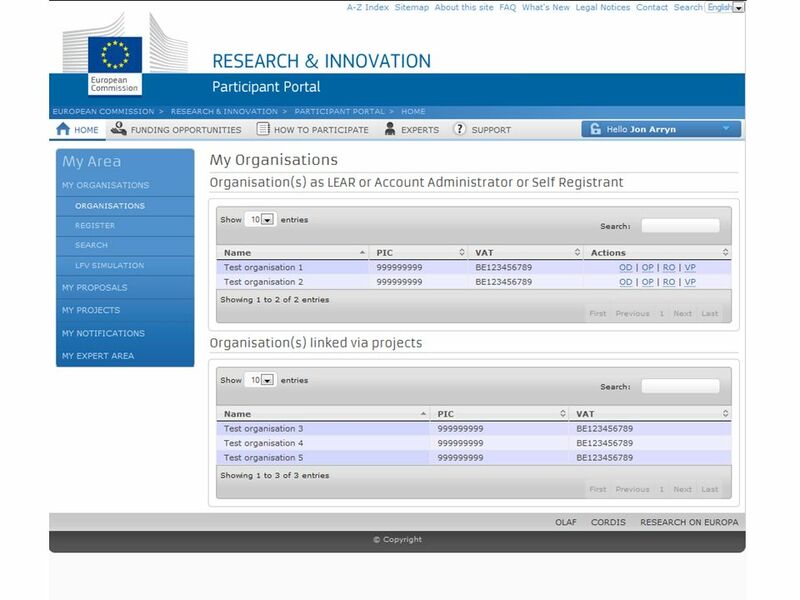 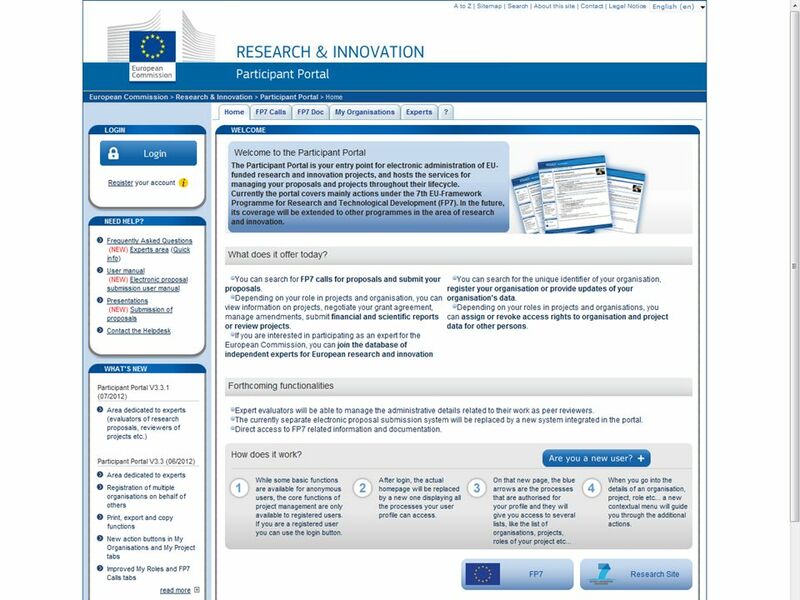 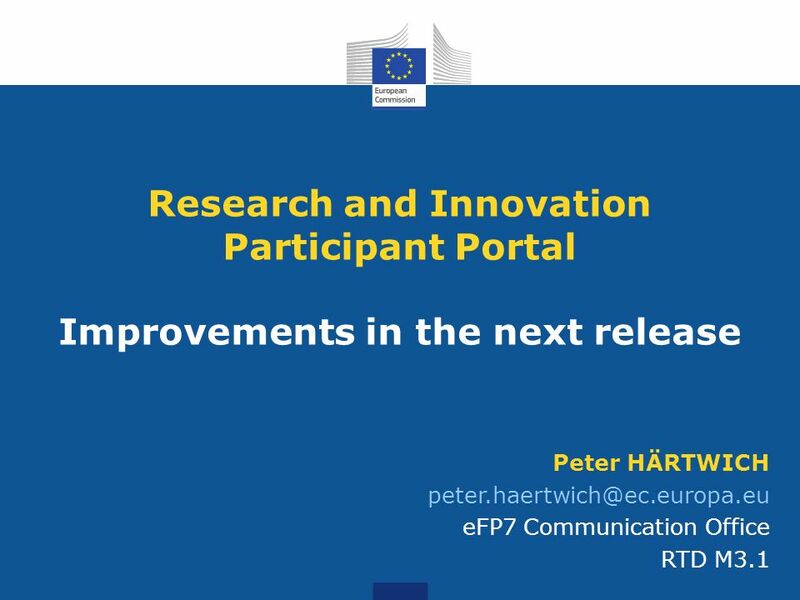 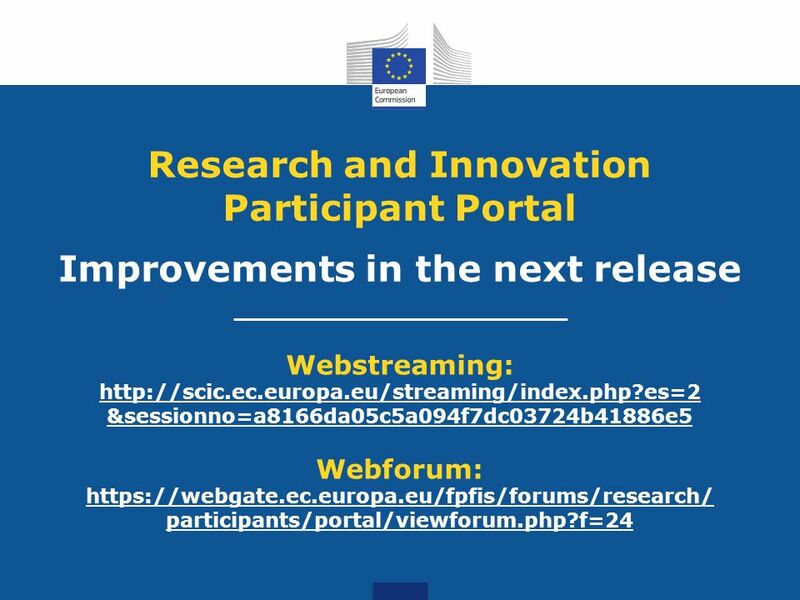 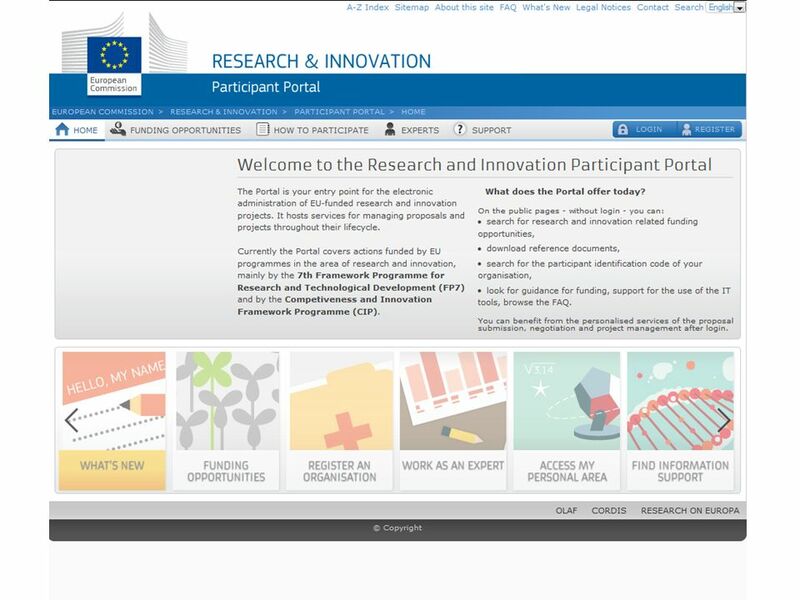 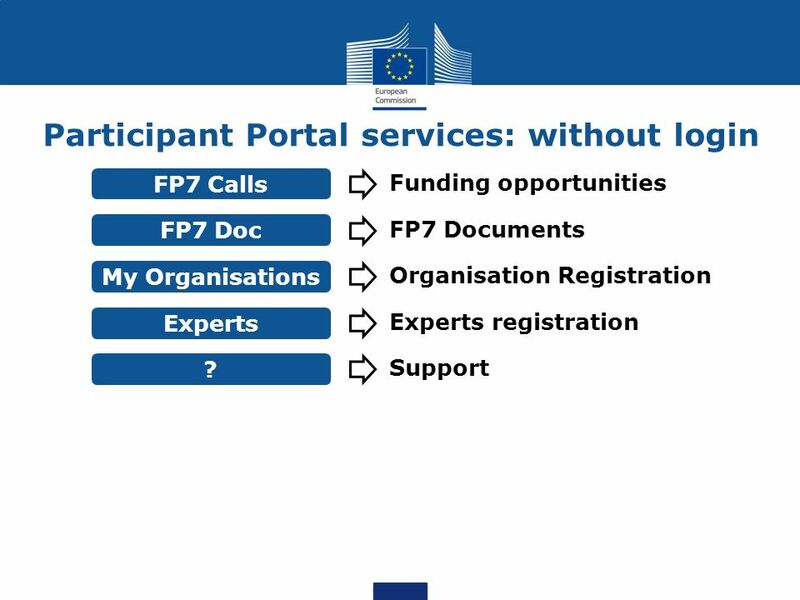 Research Participant Portal Offers external stakeholders a unique entry point for the interactions with the European Commission. 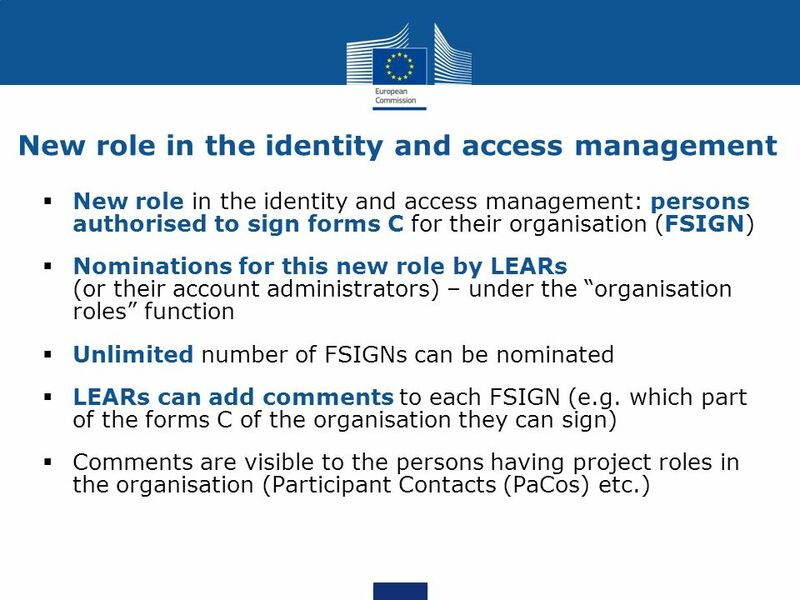 SFC2007 Security Awareness & USM management Training For Member State Liaison and Liaison Deputy Officers System for Fund management in the European Community2007-2013.